The DeathAdder Elite gaming mouse is an improved iteration of an already great peripheral. Most gaming mice look out of place alongside anything other than a decked-out gaming computer. Modular designs often leave gaming mice looking cluttered with pointed edges that create an awkward grip. The Razer DeathAdder Elite, and the rest of the DeathAdder line, is not that gaming mouse. Designed with simple ergonomics in mind, the DeathAdder Elite does not stray far from the sleek design of DeathAdder’s past. Razer’s DeathAdder has been a top gaming mouse since its initial release more than 10 years ago. This latest update adds a couple new features, but doesn’t change much from its last model, the DeathAdder Chroma. 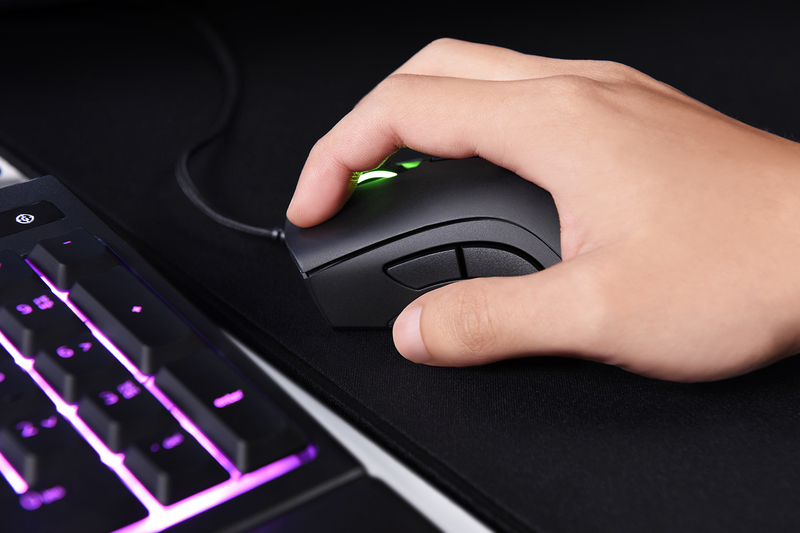 RGB lights are set behind the Razer logo and the scroll wheel. It’s about as subtle as you can get with RBG lighting, especially when you consider that both lights are covered while using the mouse. Lighting settings are customizable through the Razer Synapse software, as with the previous version. Seven buttons are scattered across the DeathAdder Elite, an increase from five on the previous model. Its two new buttons are mounted on top. They’re not particularly easy to click while playing, but are unobtrusive should you end up not using them much. Out of the box, they’re mapped to DPI (dots-per-inch) settings, but using the Synapse software they’re entirely customizable. Keeping the top two as DPI buttons is actually pretty handy, however. It’s a quick way to change DPI on the go—say, you prefer a low setting for playing Widowmaker in Overwatch, but need to be able to change it quickly once you switch off a sniper. They join the five other buttons you’d expect on the DeathAdder—the scroll wheel, two main clickers, and two left side buttons—but with a few upgrades. Razer partnered with mechanical mouse switch manufacturer Omron to create new switches for the DeathAdder Elite. Though we’ve not had the mouse for quite enough time to test the 50 million click durability claim, what we have experienced so far has been good. The new switches have a more solid, tactile click. But, most importantly, they’re supposed to last longer. One of the biggest complaints when it comes to Razer’s gaming mice is their durability. Forums are filled with posts about faulty buttons. Perhaps to address these complaints, Razer’s Omron switches are optimized for longevity with new alloy pieces. 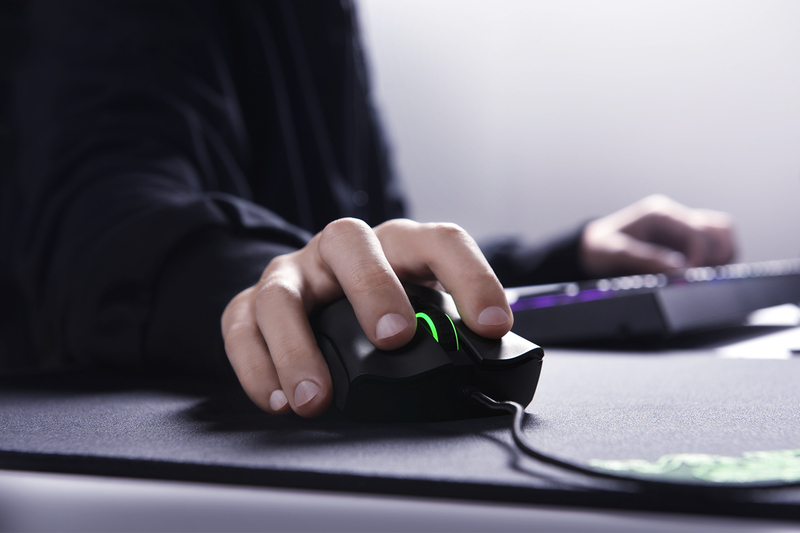 For the scroll wheel, Razer added raised bumps for better grip. It’s a very slight change to the scroll wheel from models past, but one that does add to the mouse’s solid, tactile feel. The two left side buttons haven’t changed much. Still, they’re placed slightly above where you’d naturally rest your thumb on the DeathAdder Elite’s rubber grip. Oversized buttons make it easy to click and nearly impossible to misclick. The seven foot braided cable is a bit more flexible than it’s been in the past, which helps with the mouse’s maneuverability. But how’s the DPI? Great, as you would expect. The Razer DeathAdder Elite’s DPI sensitivity goes all the way up to 16,000, while most gaming mice can only hit 12,000. The range is massive, so there’s a setting for everyone. 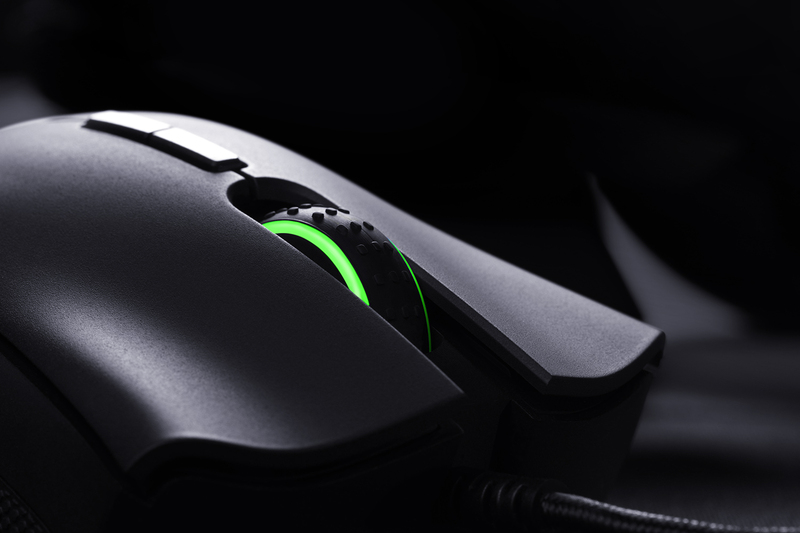 Razer claims its DeathAdder Elite is the industry’s most advanced optical sensor, with a 99.4 percent resolution accuracy. When you move this mouse, Razer says your cursor will move exactly in line with it. For $70, you won’t get a better gaming mouse. But should you upgrade if you’ve got an earlier version of the DeathAdder Elite? If you’re starting to see problems with your buttons, then yes, make the switch. Unless your old mouse is shorting out, or you’re dying for on-the-go DPI adjustments, the earlier versions are just as good. 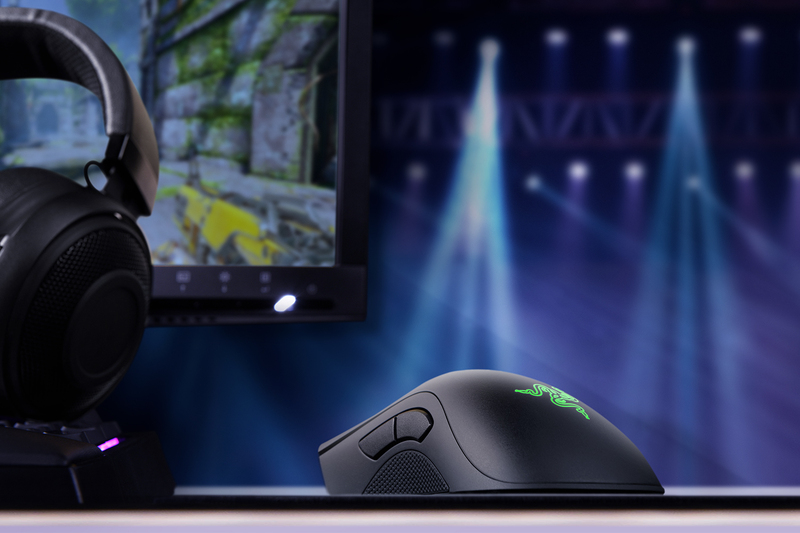 The DeathAdder Elite is the perfect gaming mouse for most users. It’s minimal and sleek, but it doesn’t compromise on its must-have features. Designed to be comfortable and accurate, we haven’t used a mouse that we’ve liked more. With the new Omron switches in the DeathAdder Elite, it’s likely this mouse will last longer than the older versions. For those who’ve already got a DeathAdder mouse, you may not be able to justify paying $70 for the upgrades available. While good adjustments, they aren’t enough to make it an immediate upgrade. The DeathAdder Elite is a great mouse, but its earlier versions are, too. For those considering switches from other brands, you’ll want to consider price. You can get a good gaming mouse for less money, but if you want the industry standard, it’s Razer. Folks playing MMO games may also want more buttons.